Boy group 1THE9 have released the track list for ‘XIX‘. The group will officially debut on April 13th with their first mini album ‘XIX‘. 1THE9 have already released the music video of their pre-debut release titled ‘Domino‘ which features artist Crush. Read more about it out here. The mini album consists of seven songs including the two instrumentals and ‘Spotlight‘ is the title track. 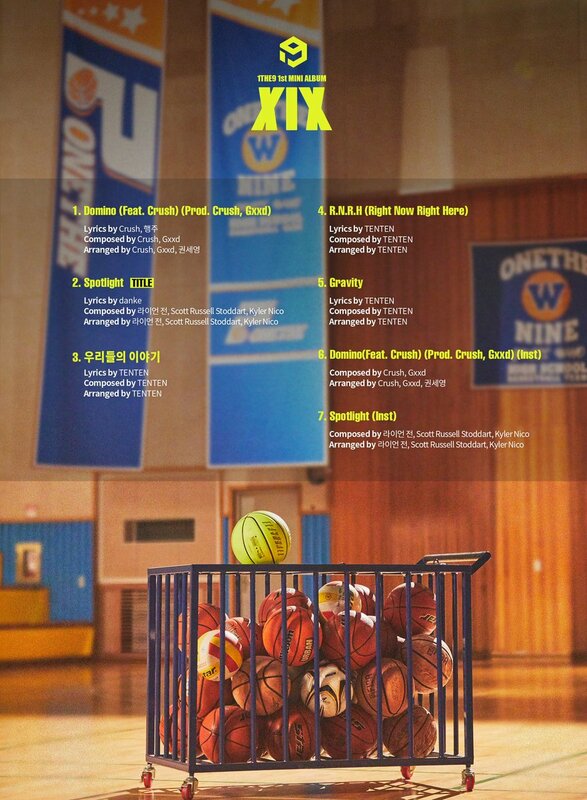 In the background of the track list, there is a basketball court. This hints that the music video for spotlight may be in a high school setting. 1THE9 are a group consisting of nine members picked from survival show ‘Under Nineteen‘. Are you looking forward to their debut? Tell us in the comments below!